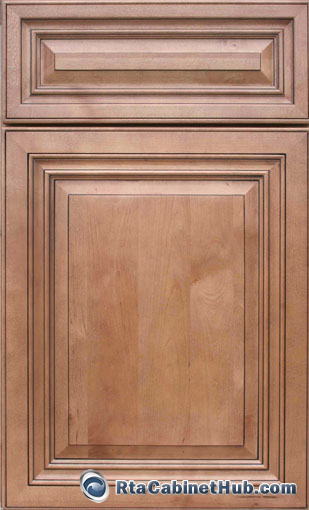 The Cinnamon Maple cabinet collection is among the premium series of luxurious cabinetry offered by RTA Cabinet Hub. Allow the captivatingly rich finish of bronzed hazel to create an ambiance in the heart of your home that is uniquely elegant yet striking and jazzy. This choice holds a treasure of benefits that ranges from dramatic aesthetics as well as durability to last for many functional years... and at the most reasonable price imaginable. 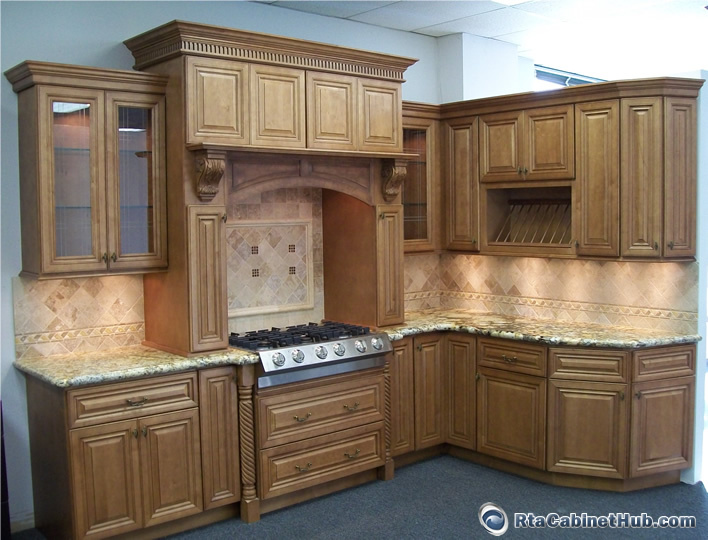 The lavish glaze of these cabinets creates exquisite warmth that bathes and accentuates the fine grains of maple. This fabulous showcase of inherent beauty is made more appealing by the full overlay, raised panel door design that allows them to perfectly complement with a wide range of color choices as well as kitchen styles from classics, traditional, eclectic and to contemporary settings. 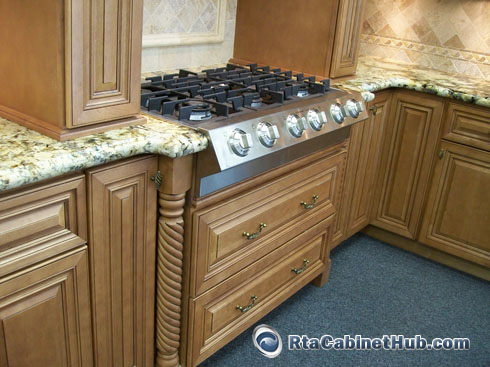 RTA Cabinet Hub offers valuable quality with the delightful options of all wood kitchen cabinets you can choose from. The Cinnamon Maple cabinet collection are manufactured from carefully selected hardwood timbers and constructed using advanced manufacturing methods that ensures precision even in mass production. This fusion of natural strength and technological advancements make this choice durable enough to withstand many years of practical use. 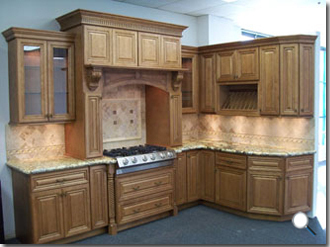 Cinnamon Maple cabinets come in various sizes and constructions to fit into your remodeling requirements. 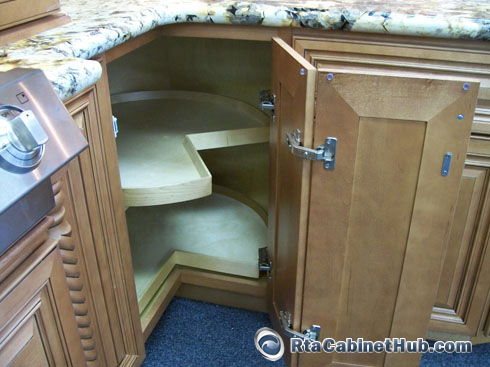 RTA Cabinet Hub presents a variety of options from single or double door base and wall cabinetry, pantry and oven cabinets, as well as corner cabinets that come in different shapes. Maximize storage and create a more personalized look with wall end shelves, wall horizontal drawers, appliance garage and other such innovative features. With RTA Cabinet Hub, you do not have to spend a fortune to achieve that stylish appeal and time-tested lastingness. 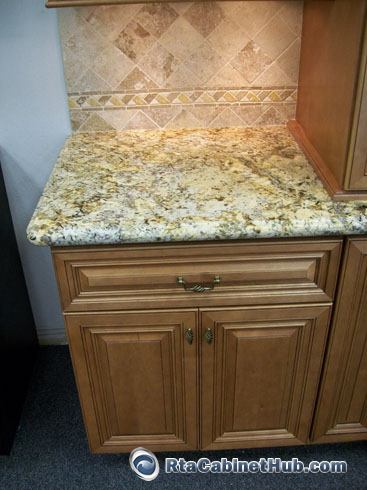 Get the luxurious touch your home deserves with Cinnamon Maple cabinets. 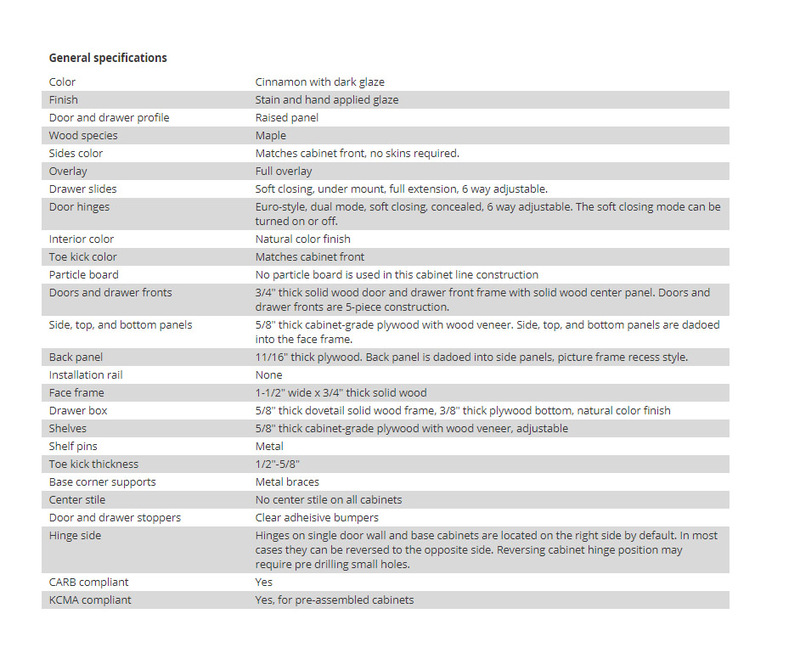 Cinnamon Maple Glaze product is identical or similar to Glazed Toffee and Largo Maple Cinnamon Glaze cabinet lines offered by other stores.